Fast-paced and vibrant stories full of favourite characters from the third step of the popular Espresso scheme. 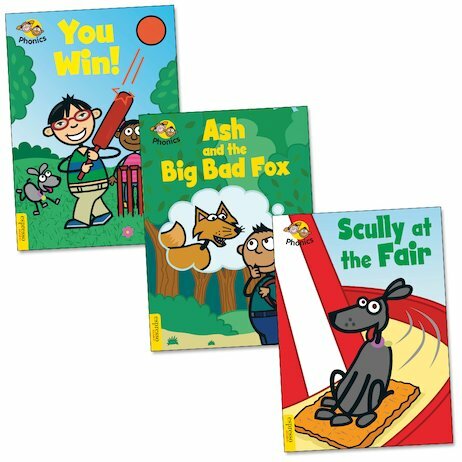 Featuring no more than 100 words each, these longer graded books give phonics improvers an opportunity to consolidate their skills by tackling a more substantial story. Building phonics skills and boosting children’s sense of achievement, the books focus on new graphemes plus a wider range of everyday words including “he”, “she”, “be”, “was” and “they”. Each book is supplied in a sturdy hardback format and includes a simple puzzle and notes for parents and teachers. Espresso Phonics Level 3: You Win!